Get ready to get up close and personal with a wide variety of exotic animals! The Petting Zoo is reserved for our sweetest, cuddliest, cleanest and most well behaved critters. The animals love the extra attention and are eager for your arrival. In season, babies can be seen with their mothers. For your safety, our animals are watched for any signs of stress or illness and are removed immediately for appropriate care. Make sure you stop by the Gift Shop to get your feed, snag a camera and let the fun begin! 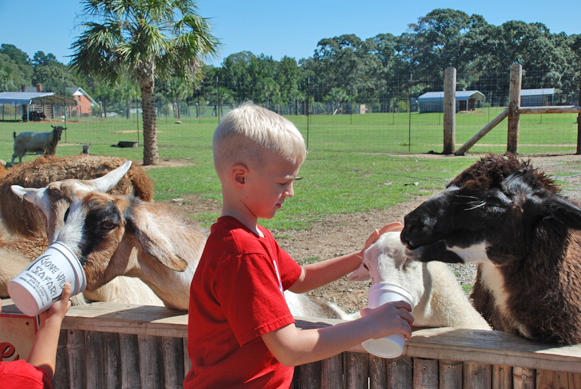 Our petting zoo is very educational and we guarantee to make you smile!